The Seaward Solar MCS Solarlink Test Kit meets all the commissioning test requirements of the MCS and IEC 62446. Combining the PV150 Installation Tester with the Solar Survey 200R, this solar test kit offers the complete solution to PV installation testing, assessing and commissioning. This Seaward Solar testing kit has all the required equipment to measure the electrical safety and performance of a solar PV system, along with irradiance, roof pitch & orientation and temperature. 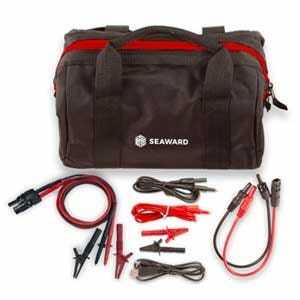 For a limited time only this test kit is also supplied with Seaward SolarCert PV Reporting Software free of charge. This advanced solar certification software enables professional inspection and test reports to be produced using data acquired from the PV150 and 200R. The Seaward Solar PV150 Installation Test Kit enables the electrical safety and performance of solar PV installations to be fully tested in accordance with MCS and IEC 62446 requirements. 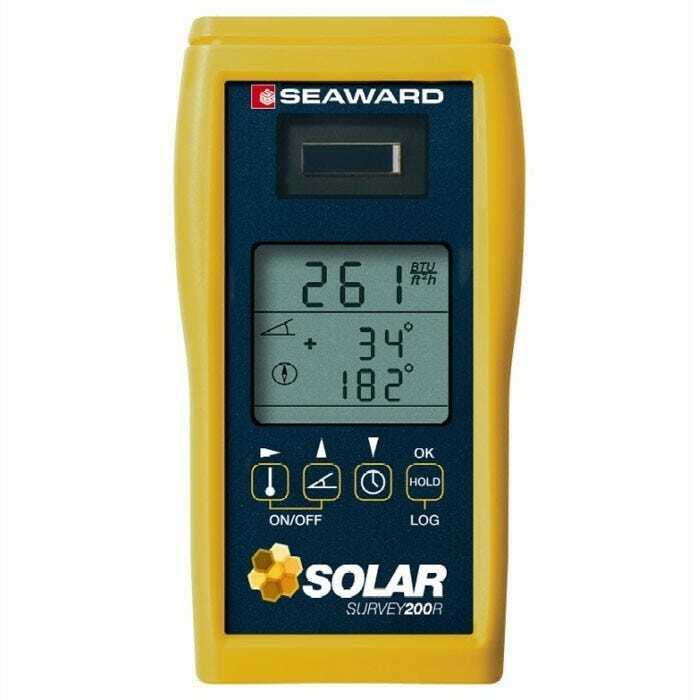 In addition the Seaward PV150 Solar Tester has an onboard memory capable of storing up to 200 test records which can be downloaded to a PC via USB and new Solarlink connectivity allowing wireless capture of irradiance & temperature data from the Seaward Solar Survey 200R. The Seaward Solar Survey 200R Irradiance Meter is a versatile and advanced solar power meter that also performs the functions of a digital compass, digital inclinometer, ambient thermometer and PV panel thermometer. Complete with a datalogging facility it is the ideal irradiance meter for professional solar site assessments. The Seaward Solar Survey 200R Irradiance Meter is an essential tool when planning and maintaining a solar PV installation as it can give real time irradiance readings from 0 to 1500W/m2 as well as ambient temperature and module temperature measurement. A built in compass and inclinometer determine orientation and roof pitch. It has a datalogging facility and USB connectivity. 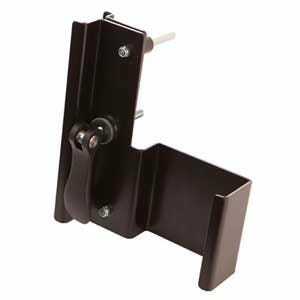 The Seaward Solar Survey 200R Mounting Bracket allows the user to connect an irradiance meter to a solar panel and pitch it at the same angle as the installation for optimum accuracy. 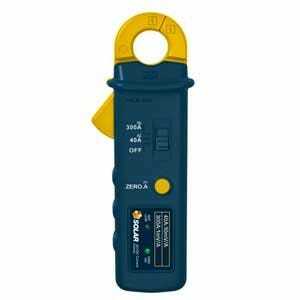 The Seaward Solar AC/DC Current Clamp accurately measures AC and DC currents from 0m5A to 40A and is capable of measuring current in conductors with a diameter of up to 22mm. There is a complete testing kit featuring two MC4 test lead adaptors, two combiner box test probes, two detachable MC4 crocodile clips, a USB download cable, carry case, quick start guide, calibration certificates and a two-year warranty. For full specifications of the PV150 click here and for the Solar Survey 200R click here. Please note: Sunclix leads displayed in kit image no longer supplied.